The children are back to school and the daily routine has returned to normal, the leaves on the trees are starting to turn and our thoughts naturally turn towards winter. In northern Europe, it can be long and miserable yet there are bright moments, Christmas, New Year and if you are lucky a holiday skiing. 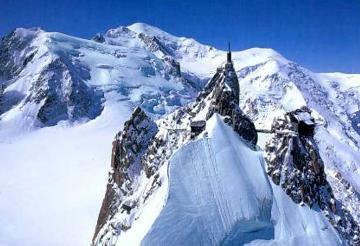 France is the number one European ski destination and it is easy to understand why. Not only is the access very good by sea, tunnel and air it also has two mountain ranges with very good skiing, the smaller and cheaper Pyrenees and the vast high Alps. The French Alps stretch from Lac Leman in the north all the way down to the Mediterranean in the south. The variety and choice is immense, from the breathtaking majesty of Mont Blanc the highest mountain in Europe to the beauty of the Portes du Soleil on the Swiss border then the seemingly endless slopes of the 3 Valleys near Grenoble to the charm of Briançon close to Italy, finally right down to the sunny slopes of the south by Nice. 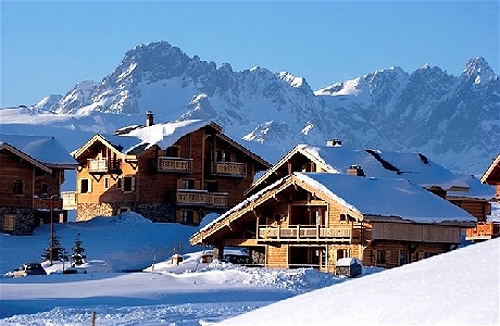 At Villas Worldwide / Villas du Monde we have been busy sourcing ski accommodation in the best ski resorts throughout these fabulous French mountains so that you can find a ski holiday in a resort to suit the tastes and ski ability of yourself, your family and friends. You can now choose from thirty-eight French ski destinations with an amazing diversity, from the small town of Chamonix to Val Thorens the highest ski resort in the Alps, to purpose built Avoriaz and the traditional village of Châtel, plus a whole lot more. We can offer you a long standing range of good quality, well managed ski accommodation including a ski studio for two right in the centre of Val d'Isère, a luxury apartment in Les Houches with spa and pool facilities, a ski in ski out chalet for six in La Plagne, a big good value chalet for twelve in Alpe d'Huez even a top end luxury chalet with pool in Courchevel. In keeping with our summer range, we have concentrated also on offering ski accommodation with private swimming pools, shared pools and hot tub facilities all with an emphasis also on good access to the slopes, ski lifts and ski school. 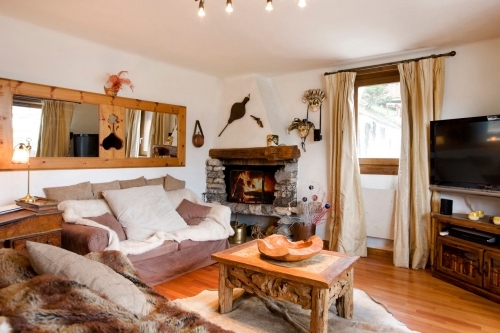 We hope you enjoy browsing our bigger, better range of ski chalets and apartments in France.